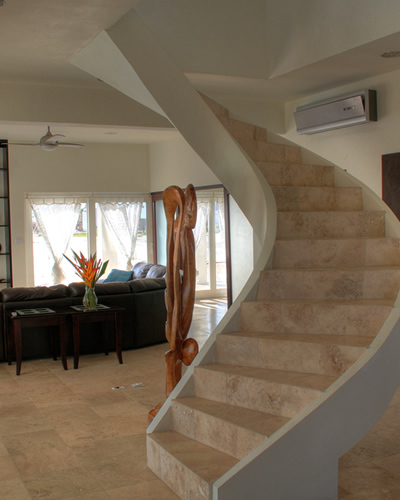 Caye Winds - Plaza 4 "Our Belize Vacation" - "Our Belize Vacation"
Take you first steps into the lavish surroundings of Caye Winds and discover the definition of paradise. 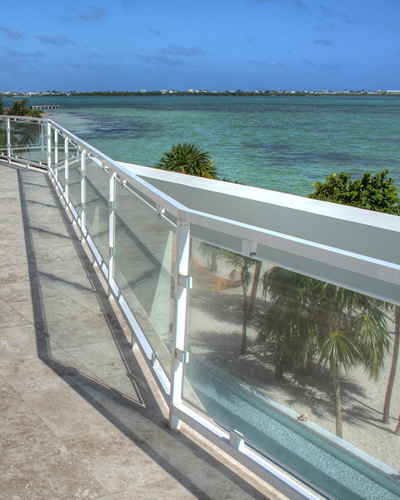 Our spectacular indoor-outdoor architecture allows you to discover the generous comforts of Caye Winds accommodations with spacious terraces surrounding many rooms. And the comfortable interiors are well-appointed with unique architectural touches, including spiral staircases, stamped concrete flooring and mahogany cabinetry sourced from the Belizean forests. 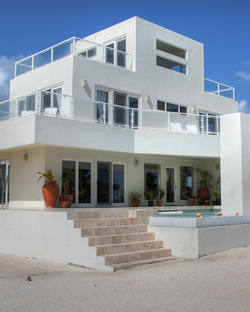 In addition to the opulent location and exquisite architectural design, you will have the luxury of your own private Concierge and Chef, along with your personal maid service, which is included with our Mansions and available with our Villas and Condos. This staff will indulge your every wish so that you can make the most of your vacation. 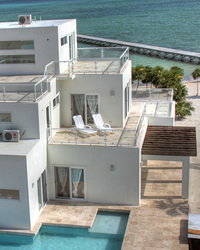 The Caye Winds Luxury Resort is the flagship of our brand. 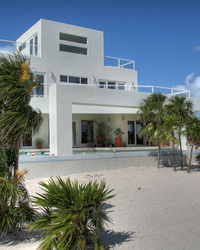 Caye Winds offers mansions of a size and grandeur that simply is not available anywhere else in Belize. 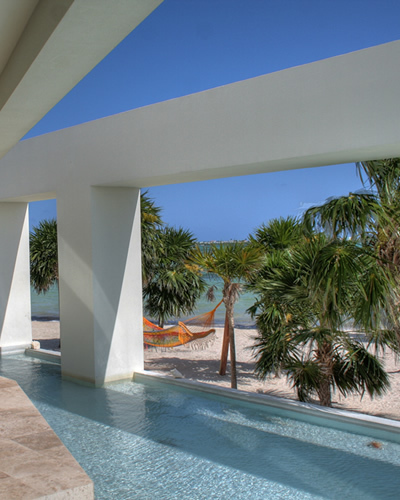 With many of the Caye Winds mansions containing one or more private attached pools as part of these expansive mansions, you simply cannot find more opulent accommodations in Belize. As the first of our developments, Caye Winds offers a proven success in appealing to the upper strata of discerning vacationers. With excellent rates of occupancy at high-season prices of $1495/ night, Caye Winds offers guests the pinnacle of service with our highly attentive staff, including a personal chef, butler and maid catering to the guests in each villa.